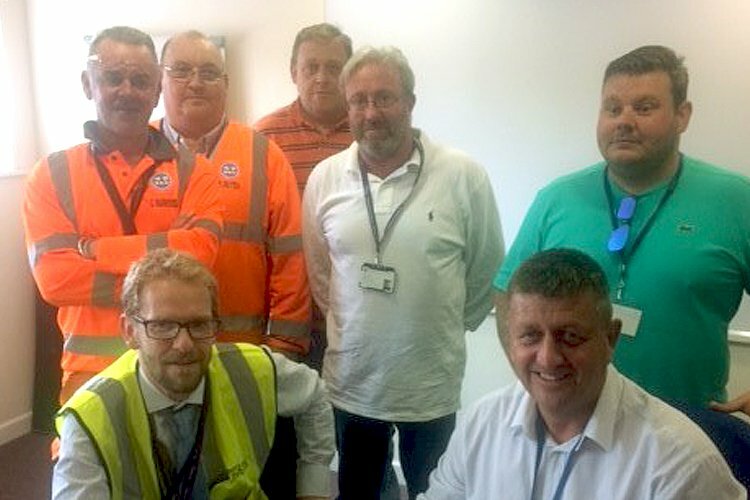 Portsmouth’s MMD Shipping Services has upgraded their Unison recognition and procedural agreement, to help improve negotiation on pay, and terms and conditions. Steve Williams, MMD Shipping Services general manager said: “The benefit of this agreement is that staff can put forward views to their Unison representative, who’ll present to the management team. “We hope this engagement leads to positive changes in the way we work, for example a safer, more productive working environment”. Major diversification to the business, including modifying shift patterns and hours, and changes to senior management, meant the contract needed to be updated. The new agreement defines a more transparent framework to help discussions to take place. James Smith, Unison regional organiser said: “We believe the signing of this modernised agreement reaffirms a positive and constructive engagement between MMD as an employer and its workforce. “Where MMD Shipping Services management have actively engaged in discussion with its workforce and listened, the best possible outcomes have been achieved for all concerned”.